Weleda Birch Cellulite Oil contains a unique blend of plant extracts and plant oils, which help to improve the texture of your skin. It regulates your body's own regenerating processes, leaving the skin looking firm and supple. The plant extract have unique toning properties to reduce the appearance of cellulite on the body. 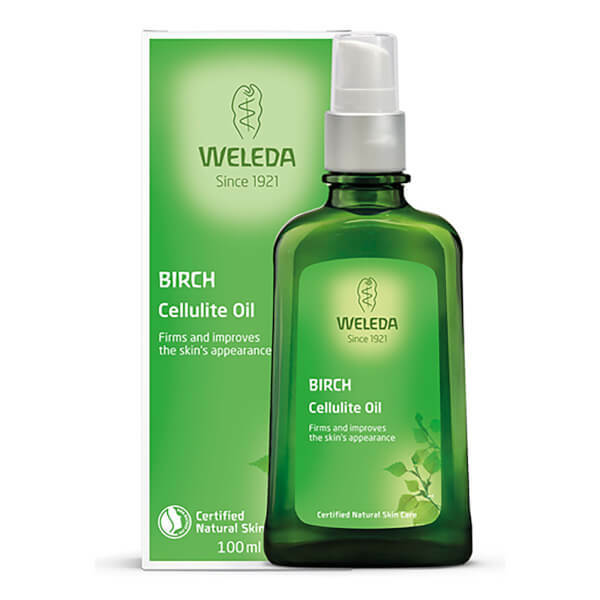 In the first four weeks Weleda Birch Cellulite Oil should be massaged into the skin with circular movements at least twice a day. For ongoing maintenance apply once a day. Massage the oil into the skin with moderate pressure towards the heart. Massage into slightly damp skin. The oil can be spread easily and does not leave an oily film.